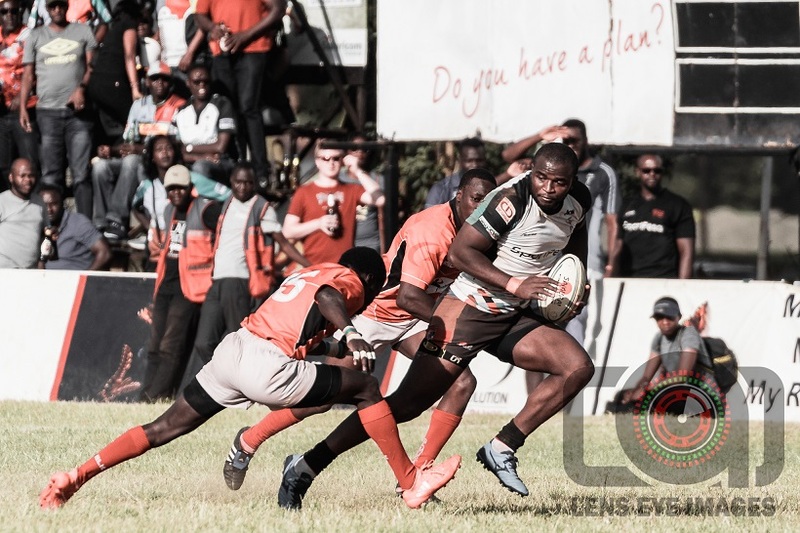 Kenya Harlequin are leaving nothing to chance by naming a strong 23-man squad for the first round of the Enterprise Cup against Championship side Ngong Warriors at RFUEA Grounds. Ugandan international George Scott Oluoch starts at number 8 replacing Peter Misango from last weekend’s derby win over Impala Saracens while fly-half Matt Wanjia is in for Eden Agero. The backline has Willy Ambaka and Jasper Ochen at midfield, Lyle Asiligwa at fullback while Aluda Beda and Frank Wanyama on either wings. “We are treating them(Ngong) like a top division side. We won’t take them for granted. They will come at us hard, hoping to take a big scalp. No one expects them to win, which is dangerous,” said head coach Charles Cardovillis. Misango, Agero, Osino, Kakai and Barasa join Obwaya, Kalwale and Paul Kioko on the replacements list. Quins have had a good start to the Kenya Cup winning six out of 8 macthes to sit third with 31 points, eight points above fourth placed Nondies. Ngong on the other side seventh in the Championship with 16 points after eight matches as they look to secure a playoff spot. Cardovillis says he’s happy the Enterprise Cup is being played in-season unlike last time out with the winner between Quins and Ngong set to play Homeboyz in pre-quarters. Quins II will play Stingers in the Mwamba Cup from 2pm.